I am always anxious to share fabulous products with you. Today I am not only promoting the products, but I am promoting a fabulous company with fabulous products! Mixed Bag Designs sells reusable bags of all shapes and sizes. 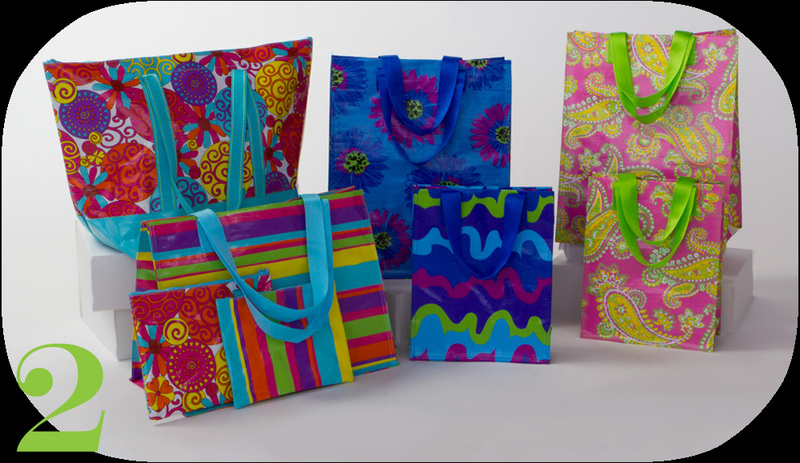 We're talking totes, gift bags, file boxes, laptop bags, duffel bags, iPhone covers, garment bags, cosmetic bags, grocery bags, and much much more! 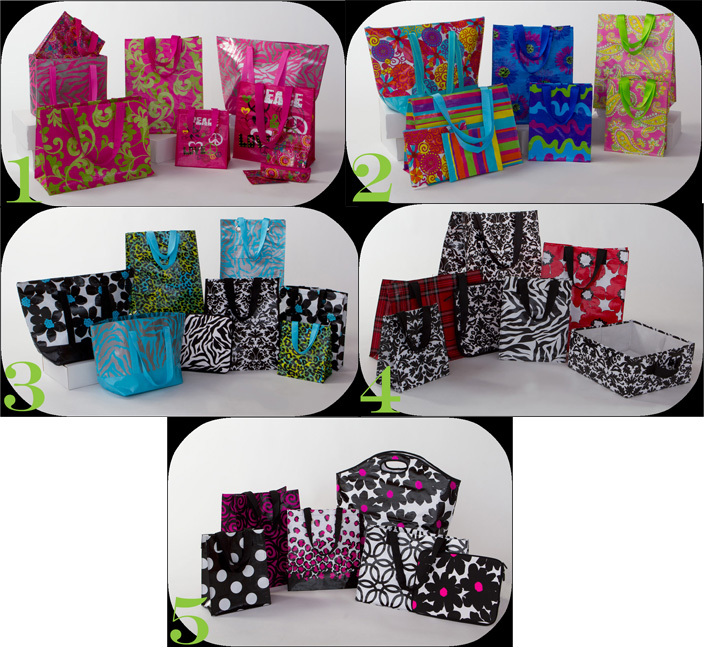 All of the bags are reusable and available in a wide variety of patterns. So you can look good while goin' green! Mixed Bag Designs frequently works with schools on fundraisers. Wouldn't these make a fun (and green!) alternative to selling wrapping paper or cookie dough?! In my teaching days I would have jumped at an opportunity to raise some money for our schools by selling cute bags! You can see the entire fundraiser catalog here or contact peggy@mixedbagdesigns.com for more info. I have been working with DJ from Mixed Bag Designs for the last few weeks. What a generous and talented company! They insisted that I see their bags with my own 2 eyes. So I went shopping at Mixed Bag Designs! I tried out a variety of bags in all shapes and sizes. Don't you love this damask print on this medium tote? I have started carrying this bag with me to church. I take quite a few items with me to Primary every Sunday--a humongous binder, speakers and i-pod, etc. So this bag works perfectly... and it's dressy for church! One of my favorite products is the large zip tote. I use this bag as our swim bag. I pack this bag with Little Man's swim toys, swim diapers, towels, etc. I can zip it up and just go! Plus, these bags work perfectly for wet items. You just wipe them clean. If you're ready to make a purchase right now, you can use promo code "daisy" to score free shipping! Yes indeed there will be 5 winners for this giveaway!! Terms: Please leave a separate comment for each entry. This giveaway is for U.S. and Canada readers only. 1. Check out Mixed Bag Designs. Let me know what bags you like in a comment! 2. Like Mixed Bag Designs on Facebook. Leave them a comment and let them know Oopsey Daisy sent you. Let me know in a comment! 3. Be a follower of Oopsey Daisy or let me know that you already are! This giveaway will remain open until Wednesday, July 27 at midnight when a winner will be announced via Facebook/Twitter. I like the Painted Flower medium tote. I’m one of your followers. I like Mixed Bag on FB! Oooooh – love all there stuff and very reasonably priced, too. I think the first thing I would get would be a lunch bag (Damask) and foodies (Black Swirl) for my lunch each day. Wow!!! What a Great site!! Everything is so reasonably priced!! I love the Damask pattern in all it’s configurations!! I love the shopping bag & the 15″ Laptop carrier!! Thank you so much for a chance to win!! I “Liked” Mixed Bag Designs on Facebook. I left them a comment and let them know Oopsey Daisy sent me!!! I am already a follower of Oopsey Daisy!!!! Thanks again for the chance to win this Awesome, Generous Giveaway!!! I love the beach ball large zip tote. perfect for the summer! Love these bags! I could have used the Hold everything Beach ball when I was packing my daughter for camp last week! I love the black daisy large zipped tote!!! So pretty!! Wow, these are so awesome and affordable!! My favorite is anything that comes in the Black Daisy print, especially the duffle bag!! The black swirl snack bags are adorable, and I also love the damask file holders! I like them on Facebook (and said you sent me)! I LOVE the Box Store Bags! Especially the Zebra print one! I started checking your site for Mommy School posts a long time ago, and immediately became a follower. Love this blog! I checked out the website and loved the lunch bags and the hold everything bags! I left a comment on their facebook page saying you sent me! I am already a loyal follower of Oopsey Daisy on both facebook and subscribe to your emails. I love the blue paisley grocery store tote! I love the Damask Medium Tote- looks like it would be perfect for the farmer’s market! Love it! I left Mixed bag designs a comment that you sent me on facebook! i am a follower of Oopsey Daisy! Love the lunch tote size – – my girls would for sure pick “blossom”! The damask and red daisy medium totes look perfect for just about every setting. I love the damask laptop case as well. I left a comment on Facebook telling them that Oopsey Daisy sent me. I am already one of your followers. I love all the Mixed Bags but really could use a large tote. And all of the designs are great. The prices are even better. Thnaks. I just left a comment on Mixed bags that Oopsey Daisy sent me. I totally love the Blue/Brown Flower Department Store Bag on Mixed Bags. Blues and Browns are my favorite colors. I follow you and love the Blue Providence laptop case. I can’t believe how many different designs they have. I am not a “bag” shopper but I love the different styles. I can imagine using them for so many purposes. I am loving this company. I am a subscriber. Yea! I already follow you!!! Love your blog!!!! I love their products and great prices. I especially like the out to lunch tote and the duffel bag. So many gorgeous designs and styles; I like the Coral Camo. Thanks for the great insight!!! I love the black swirl hipster bag. Thanks for the opportunity to win!! I like the damask, blossom and black daisy. The large bags look great! I am an Oopsy Daisy follower. 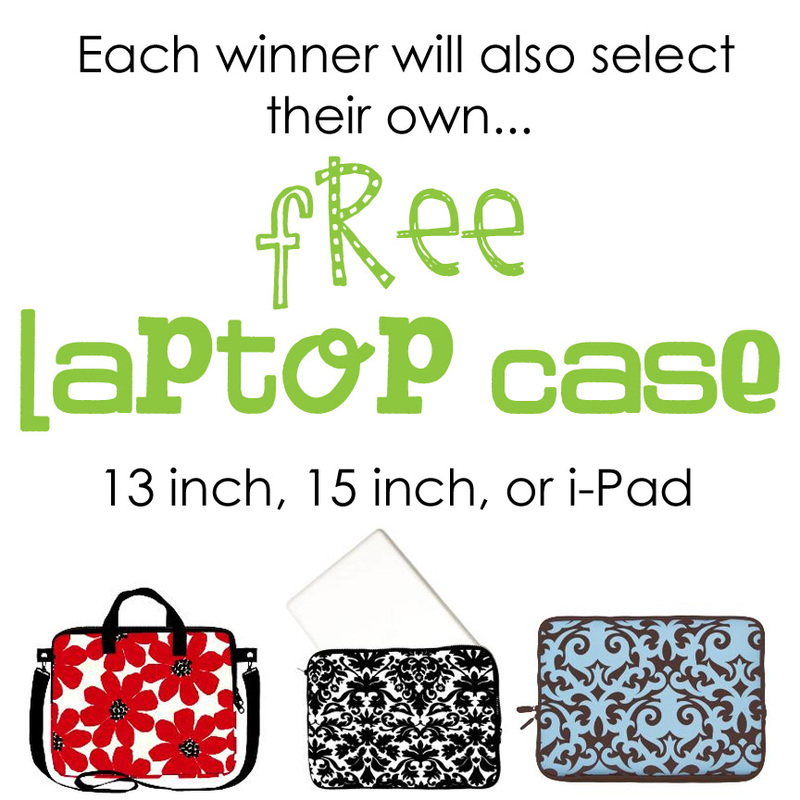 I love anything in the damask print or the colorful stripe laptop case. ALways love the Damask pattern in the travel tote! I’m a blog follower of yours! I could really use the damask cosmetic bags! My current cosmetic bag is at least 7 years old. I’m already a follower of your blog and I love it! I’m already a follower of this blog. I think that the lunch bag in Damask is super cute! I really like all of their products! LOL. I love the case mates, large zip tote bags, IPhone wraps, and lap-top cases! I love everything damask too! I love the Blossom duffle bag!! I follow you and adore all that you do! Thanks for taking the time to share!! love the large zip tote- needing a new pool bag. I love the tote bags–something in pink! I am a follower- love your site. I love the damask medium tote and anything in black daisy! I liked Mixed Bag Designs on FB and let them know you sent me! I love the weekender. What a perfect size bag! Love he tall tote bags! I like on Oopsie daisy on facebook too. The large zip tote bags would be pefect as a carry on with all my toddler plane entertainment supplies! O love the Black Daisy print! I really like the food sacks, since we go through tons of plastic sacks each year in lunches. I also love how affordable their products are! I’m their newest FB fan! I’m an Oopsey Daisy follower (and love you)! I absolutly love the Graduated Leopard Large Zip Tote and for $19 its a great deal, it would make a great beach bag. I love the damask design! I’m an Oopsey Daisy follower! I really NEED grocery store bag and I loved black zebra, black dot and coral camo! They are all cute, though! I’m following Oopsey Daisy on facebook! I love the large zip totes! Probably the blue with brown flower! I also love the pink peace collection! My daughter would LOVE them! I liked Mixed Bags on FB! I love the Black Swirl set and the painted flowers… too many, i love them all!!! I posted your giveaway on Twitter!!! I am a followe of your blog!! I really like the lunch totes & the bags that I could bring to the pool! They have such cute designs! A laptop case would be fun too!! I love the damask insulated grocery bag! Sooo nice! I am already a follower of Oopsey Daisy! I love all the beach ball bags!! My favorite/ on my list of want to get one day’s is the Beach Ball holds everything bag. I love the bags for swimming!! I like them all :D!!!! I am also a follower. Would love to win one of them! Awesome giveaway and awesome bags! I love the grocery totes in black daisy and the paisley is pretty sweet too. Just liked them on facebook! Too cute! I love the black daisy duffle bag, so cute! I liked Mixed Bag Designs on FB and told them you sent me! I’m a follower of Oopsey Daisy. I love the Blue/Brown Flower large tote and the Painted flower medium tote. I follow your blog Allison! I love the large tote in blue/brown flower. All the prints are beautiful. I liked Mixed Bag Designs on facebook and left a comment saying that Oopsey Daisy sent me. I liked Mixed Bag Designs on facebook. I follow Oopsey Daisy via bloglovin! I like the damask with pink croc lining. Also what great prices!! These are adorable! I love the black & teal daisy print! Thanks for the give away! I follow on Reader. Love your blog! I really like the black daisy duffle bag! I’m a fan of Mixed Bags on FB! I really like BT100 Damask pink lining bag and tote and pretty much anything in that print. I love the duffel bags! Perfect for the kiddos! I love how many sizes and styles they offer, I think my favorite is the metallic tall tote. I have been following Oopsey Daisy for a few months now. Love your blog! I just liked Mixed Bag on Facebook? I have been following Oopset Daisey for a while! Love it! I “liked” Mixed Bag on FB! I love all of the Damask line–very classy. What a giveaway!! I’m already a follower. I look forward to seeing your updates! I liked Mixed Bags on FBand let them know you sent me over! I loved the red plaid bags to tote Christmas packages in when going to parties. I like the foodies bags. Great for lunches! Thanks for a chance! Like Mixed Bag Designs on Facebook. Made a comment and let them know Oopsey Daisy sent me. Thanks again. I love the Black Daisy tote! So cute and perfect for a Mom! I really love the snack collection i’m trying to move completely to fabric for snacks do to one too many ripped plastic bag catastrophies! I’m a follower of Oopsey Daisy!! And I don’t tweet but I forgot to mention that I LOVE that these guys remember that we have men in our lives who might like these too! So much to like on the Mixed Bags website! I really like the foodies bags and the foldable storage bags! I subscribe to Oopsey Daisy through email! I love the red croc tall bag…so cute! I love the Large Zip Tote in Black Daisy. I really like the cooler bags and the Christmas bags are a cute idea too! I like Mixed Bag Designs on Facebook. I also left a comment on their wall. I am a follower of your blog and also on Facebook! I am a follower of your blog! Love this giveaway, thanks for the chance! I love the large black swirl tote bag! So cute! Love the damask lunch bag – black and white. I love the black and white damask…of course the colors on the green and blue ones are so pretty too! Love the patterns! My favorites are Blossom and Red Daisy. So cute! And so much to choose from! Love the choices! My favorite pattern is Red Daisy and I love the tote bags. I love the black damask tote! I love the dotted swirl grocery store bag and the provence laptop cover. I love the black swirl tote! Happy follower of Oopsey Daisy. I am a follower of your blog!! 🙂 I liked mixed bags on Facebook. My favorite bag is the large tote bag in Damask with pink lining, and out of the 5 sets of bags you posted my favorite is set number 4!!!. All their bags are so cute! I tweeted the message. Thank you for the opportunity to win!! love these! my favorite is the bright happy flower print ☺. happy day to you! I “liked” Mixed Bag Designs on FB and left a comment saying you sent me. 🙂 Thanks again for the chance to win something super cute!! I LOVE the graduated leopard bag! Although they’re all beautiful! I “Liked” them of Facebook! I’m an oopsey daisy follower and BIG fan! 🙂 Thanks for the awesome giveaway! These are awesome bags! I love the medium tote and laptop covers. I love the blue/brown large zip tote. It fits everything for a day trip with the kids. I love the blossom grocery store bag, the dot department store bag, and the pink metallic zebra bag! I love the Black Rings style – so classy yet modern. 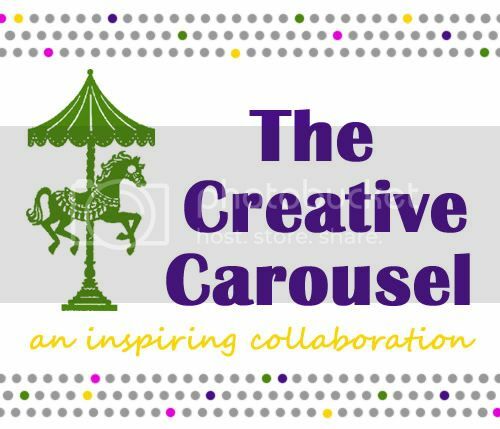 I love following your blog – you have so many great ideas! It’s so hard to choose my favorite. But I love the zip pouch bags for my sons markers and stuff. I also love the food bags for my sons treats. The zip bags are completely adorable! Please stop by and enter my giveaway as well. I love them all – it would be hard to choose. But I’ve been wanting cute grocery bags . . . hoping that having cute ones would cause me to remember to actually take them in to the grocery store instead of forgetting them in the back of my car. I like the black dasiy tall tote! Just “liked” Mixed Bag Designs on Facebook! I like Mixed Bag Design on facebook and I let them know that you sent me. I am already a follower of Oopsey Daisy. I love the medium tote and large zipper bag! I am an Oopsey Daisy follower! I really like the weekender bag in zebra print. I love the all of the lunch baggie bags. Such a great idea! I am one of your followers! Love your site btw! I love the damask and pink plaid tote. So cute! The Black Daisy design is my favorite! i think the LT6 Beach Ball Large Zip Tote! It is just darling! AND I am one of your followers. I seriously love this site! Thank you for updating this site and keeping me busy and crafty! So cute! love the bags, especially the damask, blue/brown flower and the black daisies! I just love the Girls Lunch totes, have to have my daughter pick the design she likes for school!!! I love the large zip tote in black daisy! I liked Mixed bag designs on facebook and left a comment. Awesome bags!!! I am and have been a faithful follower of your blog and this giveaway ROCKS!!!!! I am ALL about the Damask Weekender Bag! I am a follwer of your blog for several months now. 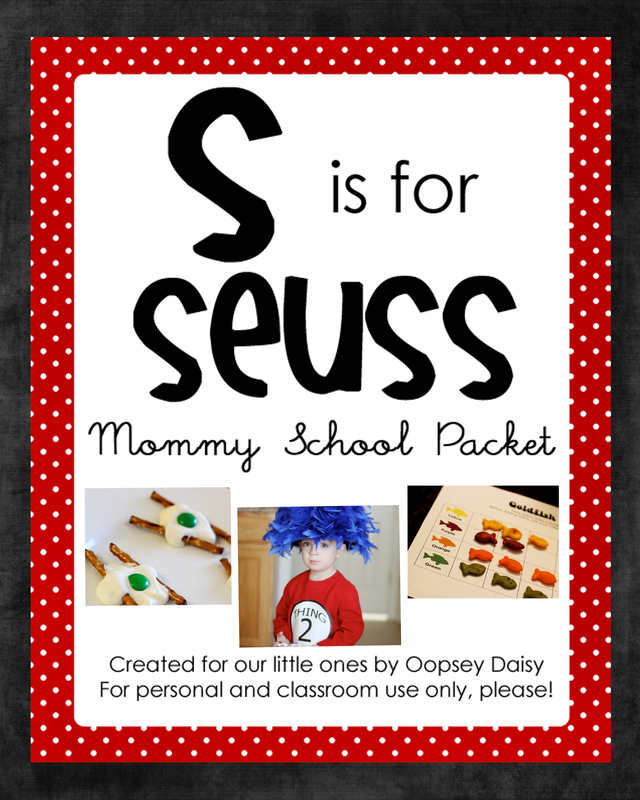 I love your Mommy School printables. I am using them with my son this year. I “liked” Mixed Bags on facebook and left a comment. Love the black swirl bags! Thanks for the giveaway! I love the prints and patterns of the bags. I would love to have the large zip tote or the lunch bags. I am a follower of oopsey daisy!!! I like Mixed Bags on Facebook and left a comment! I am so loving the lunch tote in the Zebra pattern…well basically anything in a Zebra pattern!!! I am loving the Peace/Love and the Blossom prints. The foodie bags are awesome! I am a fan of Mixed Bags on FB. I love the Pink Flower print in everything. The laptop case is my favorite if I had to pick one! I liked them on facebook and let them know you sent me! I already follow your blog. I am so excited that I do b/c I would have missed out on these great bags! I love the red daisey bag! I love the blue provence laptop case! I am already a follower of Oopsey Daisy. I always enjoy reading your posts. Thanks for the giveaway. I like the stripe and pansy prints. There are so many options – but I think I’d choose either a large or medium tote. Love the Pink Metallic Zebra Lunch Tote! Really love the Weekender bags! Damask is my favorite! Paisley is a second favorite!!! I’m a follower of Oopsey Daisey!! and I love it! I Love all of their bags but my favorites are the painted flowers medium tote, Blue/Brown flower zip tote and the Black Zebra weekender. I love bags it would be awesome to get a new one! I am a Oopsey Daisy follower. I liked Mixed Bags on facebook and told them you sent me. i really like the red daisy medium tote. I am a follower of your blog, I love it. I liked and still do Mixed Bags on fb. I love all of their duffle bags! Man, I wish I knew how to use twitter! Wow! So many cool things. I like the foldable storage that fits hanging folders. I’ve never seen anything like that before. I love the large black and white tote! ALso the drawers in any print. Can never have too much storage! Wow, huge selection!! I love the purple flower snack bags, so cute. Thanks for the giveaway! I also follow Oopsey Daisy, Thanks! Oooh…so many choices! I would love any of the duffel bags! I love all the bags in the black daisy, red daisy, blossom, black vine, and black rings prints. I liked (and left a comment on) mixed bag designs on FB! Love the zip top bags– so versatile! Thanks! I like the boys shark print lunch bag!! I like the weekend bag and the hipster. What cute bags! I love the damask fold and hold. Thanks for the chance to win. Love the damask, the black daisy, and the black swirl. I see a theme here….. I love the travel bag but they are all winners. The clip its are clever too. Thanks for the give away! I love the Black daisy tote bag. I love the Drug store and Department Store size, and I purchased a bunch of these for our school a couple of years ago and loved the prints they had then. And now they are all different and so dang cute! I can’t wait to shop again soon, they are the best bags ever, I can’t believe all the comments I get walking around with these cute bags around my arm, everybody wants these cute Bags! I highly recommend them my has lasted 3 years now and they are still stronger than ever! I am a follower. I love these bags!! My favorite it the graduating leopard and the black daisy. I like Mixed Bag Designs on Facebook. I also tweeted. I love the department store bags, especially in the blue and brown floral and the zebra, too! But, it’s really hard to choose! I’m a fan of Mixed Bag Designs on Facebook. I’m a loyal follower of your blog! Been reading for awhile, now. I like the Damask tote bag. I REALLY like the red daisy medium tote. I need to downsize my diaper bag, and this would be perfect! I love the zippered tote in the black daisy, I really want to win these bags! Also, love the hold everything bag and the fact that mixed bags does fundraisers, hey who needs cookie dough when you can have a fantastic bag. 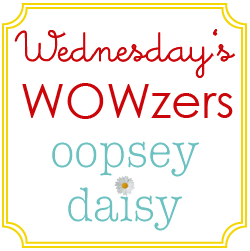 i am an oopsey daisey follower! I am a mixed bag facebook fan and I let them know you sent me! I really like the hold everything bag in the damask print and I also love the large zip tote in the black swirl or the damask print. VEry cute and so useful! 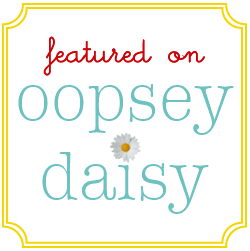 I am an Oopsey Daisy follower~ love all the ideas and inspirations! And now I also “LIKE” mixed bag on facebook. I love them!! I just stumbled across them this morning, and fell right in love! I love the foodies and totes… With a house full of girls, we can never have enough bags. My 10 year old would LOVE an iPhone case. I so need a new bag for carrying primary stuff in! The medium tote would be great. Wow what an awesome idea!! I love love the large zip totes, the grocery store tot, the hold everything, the weekender zip tote, basically I love it all! These are amazing!! Of course I’m already a follower!! I love Oopsey Daisy!! I love bags all types all sizes. These look amazing..
And I’m already a follower of you on Facebook! I like the W2 Blossom Weekender Zip Tote. But I also really like the iPhone cases 🙂 SO CUTE! i like them on face book! I liked MixedBag on Facebook! Love the large zip tote bag. Very cute at a price I would pay. I like the Large Zip Totes: Black Daisy. I love all the Damask print bags, especially the Medium Tote! I’m a devoted “OOPSIE DAISY” follower on Twitter & Facebook! I love the laptop cases. I can’t pick a favorite pattern. I really like the Damask medium tote! These bags look great! With 2 little ones and another on the way, I am always needing a bag for something! I love their large zip bag in black daisy. Aqua Paisley EVERYTHING! I’d love to create a set of all the zip bags, then another with the file boxes and fold-and-holds for crafting supplies! I’ve like them on Facebook, and mentioned I was sent by you! I love their travel bags! I “love” them on FB! Tweeted about the giveaway! Good luck to me! I love the beach ball hold everything bag! On your blog, I like any of the bags in the “3” section. I have boys so the blues and greens are perfect for their stuff! And my diaper bag JUST DIED a few days ago, so this could be a nice ray of sunshine! Thanks! I follow your site, and love it!!! I would get my wife a laptop case. I liked Mixed Bag on facebook! I liked u on FB! I like the duffle bags and the lunch bags. Thanks so much for the chance. I’m a follower on your blog! Thanks so much for the chance. Love the Black Daisy Large Zip Tote! i like the daisy and blossom prints. Can’t have too many bags/totes with 2 little ones! i like mixed bags designs on facebook and have left them a comment. thatnks for the lovely giveaway! It’s hard to pick a favorite!!! I love the Black Swirls tho! Cute bags!! The damask set has me written all over it. The little gift bags are adorable, too! I love the Damask Large Zip Tote!!! I love that they have so many black and white designs, so classy looking!! My favorite is probably the demask…or the black swirl large totes!! I love anything in the black daisy print (aqua/turquoise accents) or the pink leopard…so cute! I like the Aqua Paisley Box Store Bag. LIKED Mixed Bag Designs on Facebook. I am a follower of yours also. Love the Damaskus print. Would love anything. I am a follower!!!! Love all your ideas! I also liked mixed bag designs. I love all the options they have. I left a comment there too. Love your blog. I am a new follower. The mixed bag designs are so cute. I really love the black and white patterns. There’s not a bag I don’t like! The dotted swirl and paisley prints might be my favorites though and we could definately use a ipad case. I LOVE their bags!! I had a hard time finding something I DIDN”T like! 🙂 They are all so adorable! But I think my favorite are either the red poppy or the black daisy! I follow Oopsey Daisy and love your ideas! I LOVE THEIR SITE!! There isn’t an item I don’t like… So I guess I will go with the FIRST thing I would order and that would be the Large zippered tote. I LIKE Mixedbagdesigns on Facebook.